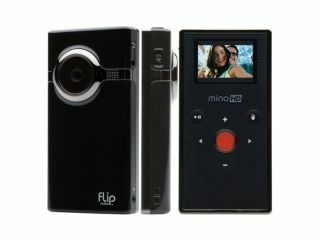 Cisco, the owners of Pure Digital, has announced that an updated Flip camera will be released next year sporting Wi-Fi. The Flip camera has been a revelation in the video-recording market, bringing the idea of filmmaking to the YouTube generation. Its success can be seen in the imitators it's spawned – Sony PM1 and Creative Vado – but the real contender to knock the mini-cam from its perch is Apple's iPhone 3GS with its video capabilities and portability. The idea you will be able to transfer footage without logging into a computer will mean that the Flip will have the edge even over Apple. Cisco bought Pure Digital earlier this year and now the acquisition makes some sense as it is the company behind the Wi-Fi tech that's being integrated. There's not much else known about the camera other than it will sport a large sliding screen which will hide the recording functions of the camera. Expect this Wi-Fi toting iteration of the Flip to have a release date of early 2010.